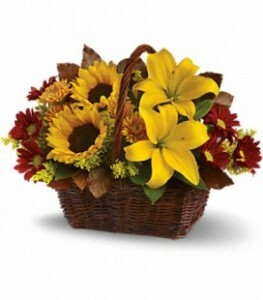 Harvest Basket Fall Fresh in Presque Isle, ME - COOK FLORIST, INC.
A classic basket created with fabulous fall flowers - Yellow lilies, sunflowers and daisies. 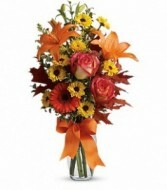 A fall mixed of the season's best. 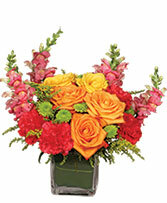 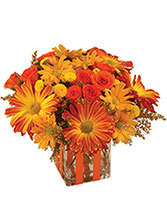 Fresh Asiatic Lilies, chrysanthemums, rose in shades of oranges and yellows created in a clear glass vase.